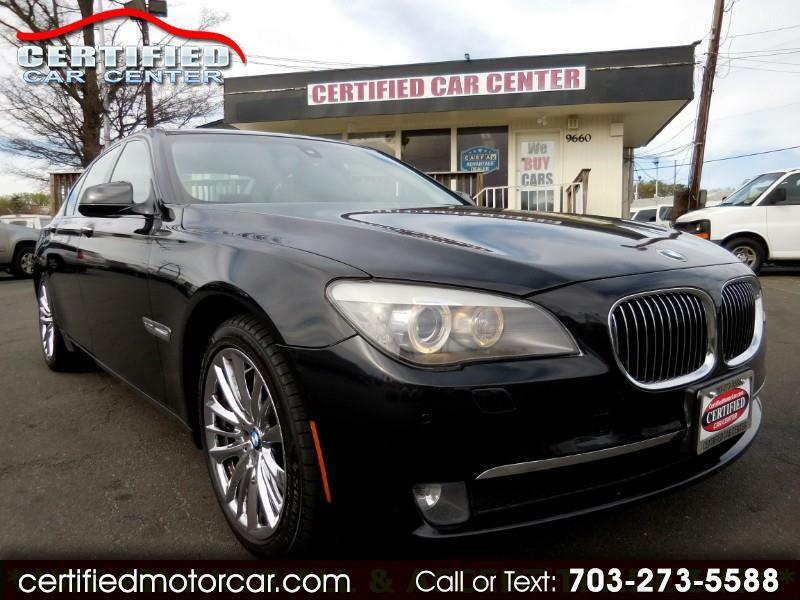 YES A **BLACK ON BLACK** 2012 BMW 750Xi WITH ONLY 67K MILES AND LOADED WITH; **NAVIGATION SYSTEM**, **PREMIUM PACKAGE**, **HEAT/AC FRONT SEATS**, **PARKING ASSIST**, **BLUE TOOTH**, **PRIVACY SHADE PACKAGE**, **XENON HEAD LIGHTS**, **BRAND NEW TIRES**, **CHROME WHEELS**, AND MORE. VA INSPECTED, CARFAX CERTIFIED, SERVICED **4 NEW TIRES**, SERVICED ALL ITS LIFE AND PRICE TO SELL PLUS $395 PROCESSING FEE. Internet Prices are based on cash or cashier's check. Our Internet price does not include a $395 Processing fee, Tags, title and FINANCE FEES!